RED KIMONO all beauty you got. สั่ง 2 กล่องทานได้ 2 เดือน MFIII VP Softgels Advanced Formula Dermacenta™ (vegetal placenta) with stem cell extraction methodology, a substitute for animal & human placenta 60 Softgels. MFIII Dermacenta (vegetal placenta) with stem cell extraction เซลล์ตัวอ่อนพืช กว่า 60 ปีของการพัฒนาเพื่อสร้างชีวิตใหม่ สุขภาพใหม่ ผิวพรรณใหม่ที่สดใส ... ใครที่เคยไม่กล้าทานรกแกะเพราะคิดว่าสกัดมาจากเซลล์ของแกะก็คงสบายใจกันได้แร้วน้า คราวนี้สกัดจาก *รกพืช* หายกลัวแระใช่ปะ.. เหอ เหอ ... ทานมังสวิรัติ อิสลาม ทานได้ทุกท่านคร้า สวยได้ทุกคนแร้ว ทั้งผู้ชาย และ ผู้หญิง มีสิทธิ์ที่จะหน้าเด็ก+สุขภาพดีได้เท่า ๆ กันแว้ววววว ... จัดหนักกันได้เรย ..
นับเป็นเวลานานกว่า 20 ปี มาแล้ว ที่บรรดานักวิจัยทางวิทยาศาสตร์และ ชีวะเทคโนโลยีจากสวิตเซอร์แลนด์และชาวยุโรป ได้ค้นคว้าวิจัยการพัฒนาสารตัวใหม่ที่จะนำมาใช้ทดแทนในรูปแบบของอาหารเสริมที่มีประสิทธิภาพมากในการทำงาน และให้ผลที่เท่าเทียมกันกับ "รกแกะ"
Doctors, Celebrities, Athletes and Patients who all agree unanimously that there is no Substitue for MFIII of Switzerland's Live Cell Sheep Placenta and Vegetable Placenta. It is currently the World's most advanced bio-technological Nutritional Oral Supplement with the highest Metabolic Effectiveness for health, Rejuvenation, beauty, Antiaging, Vitality and Regeneration. 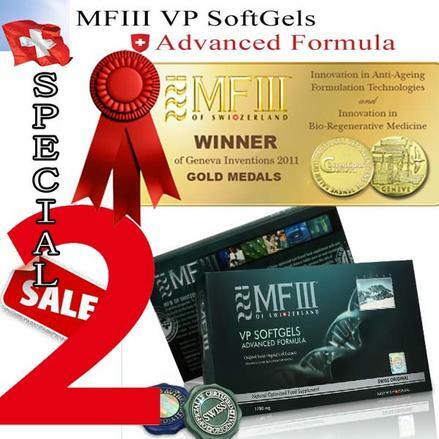 MFIII is the Safe & Natural choice based on 15 years rigourous scientific reseach and stringent Swiss quality control. Considered as the "Rolls Royce" of Nutritional Oral Supplements and the natural alternative to stem cell therapy. Now avaialble in an advanced formula in both sheep placenta and vegetal / vegetable Placenta formsulation. Join the Celebrity Club and get Insider Promotional Discounts together with Celebrity Secrets to Health, Beauty, Vitality, Antiaging and Rejuvenation. For more than 20 years, Swiss and European scientists, cell therapists, researchers and bio-technologists have been researching and developing a substitute for animal or human placenta extract in cell therapy form. As a result, in year 2001, the creation of Vegetal Placenta was developed with the introduction of of Switzerland VP. Within the next two years, the formulation of VP extracts was further enhanced and subsequently manufactured in the form of oral supplements by Lab Dom AVMM (Suisse) Inc., Switzerland under Swiss Public Health Approval No: AN-03/20'004 in 2004 with the brand name: of Switzerland VP Softgel. In Oct, 2009, the latest and most advanced concentrated form of Dermacenta™ was upgraded with biotechnology stem cell extraction methodology from 100% organic vegetal-based origin with the introduction of the new of Switzerland VP Softgels Advanced Formula (aka VP Plus). Similar to humans, plants do have embryos. The plant placenta stem cells are the master cells. They are located at the growing tip of the plant shoot of the apical meristem. Plants maintain small pools of stem cells to continuously provide the precursors of more-specialized cells to sustain growth or to replace tissues.Dermacenta™ is prepared using VP stem cell extracts and tissue from bud plants at their early stages of life. Dermacenta™ Glycinxida, a Non-GMO (non-genetically modified) plant from France is a special species of soybean where it contains a significant amount of essential amino acids, peptides (protein precursors) and trace elements. The level of sulfur amino acids in soybeans is higher than any other beans. It also has antioxidant properties that inhibit oxidative deterioration of cells. In addition,Dermacenta™ Faguslyvania phyto bud extract is rich in peptides, mineral salts and soluble sugars. These active ingredients release potential regenerating and rejuvenating abilities to create revitalized and resilient-looking skin. The long-lasting moisturizers from its mineral salts (which mend the free water in the epidermis) increase the skin’s ability to retain moisture. Dermacenta™ Vegetal Placenta (VP), scientific code 511573, is noted to have higher amino acid content and distribution than human or animal placenta. Extracted from cell culturing of specialized plants, Dermacenta™ is especially rich in amino acid particularly Proline and Alanine. It is hydrolysed by enzymes and bio-stimulins, acting as an authentic bio-activator to stimulate growth cells in mimicking the body’s response to ageing and skin damage the natural way. PPC (polyenylphosphatidylcholine) in VP As an integral part of cell membranes, Phosphatidylcholine is essential for the cellular structural and functional integrity. Extracted from special Non-GMO (Non-Genetically Modified Organisms) soy-beans, PPC (polyenylphosphatidylcholine) has been shown to enhance cell membrane function throughout the human body. PPC also appears to have high antioxidant properties, which means it may reduce the oxidative stress (cellular changes that generate cell-damaging free radicals) shown to be a contributing factor in the hyper-immune responses. A cellular regeneration of the support matrix (elastin and collagen). A positive action of our of Switzerland VP on cellular stimulation in the epidermis. Synthesis of reservoir molecules-such as glycosaminoglycans (GAG). Copyright 2009-2019 MillionDD All rights reserved.